Fishing interests were quick to condemn the move, saying the government could have identified a much smaller segment or avoided the site entirely to protect vital fisheries for squid, monkfish, scallops and other species. “We’re disappointed to say the least,” said Drew Minkiewicz, an attorney for the Fisheries Survival Fund, which represents 250 scallop fishing permit holders from Massachusetts to North Carolina. They face a combined loss of $5 million annually if the site becomes a wind farm. 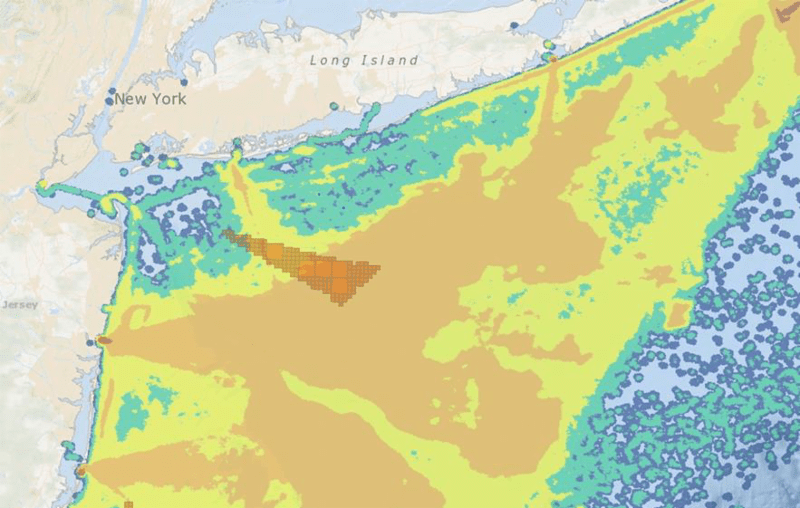 In 2011, the New York Power Authority, on behalf of the Long Island-New York City Offshore Wind Collaborative, selected a 127 square mile portion of the New York Bight (shown in the figure below) and applied for a commercial wind lease there. 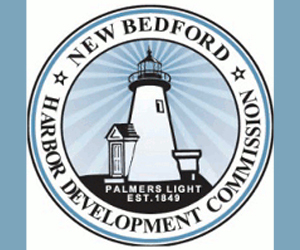 In accordance with its “Smart from the Start” policy, the Bureau of Ocean Energy Management (“BOEM”) then issued a request to determine whether there was any competitive interest for the site. Two other companies responded affirmatively. In 2014, BOEM issued a Call for Information for the same area. Responses to the Call revealed that the proposed area is critical to a wide range of maritime activities. Despite the abundance of uses in the area, BOEM is moving forward with an environmental review of the project. 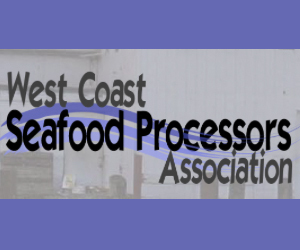 The “Smart from the Start” process allows any company to submit an unsolicited bid for an ocean area of its choosing, without consideration of existing uses. Only far later, after costly site selection and physical suitability analyses have occurred, does the agency even request information from the public. Then, that information is merely presented in environmental impact statements, with no guidelines for how much conflict is too much to proceed. This process makes the burden of showing that a wind farm is not appropriate in a given area almost impossible, and it amounts to adverse possession of ocean lands. Vessel Monitoring System (VMS) data showing scallop fishing activity in New York Bight. Values increase from green to yellow to red. Proposed wind area is shaded triangle left of center. The fishing industry refers to the area in question as the “Mudhole” or “Cholera Bank.” The commercial scallop fishery alone catches several million dollars of scallops per year in the proposed wind energy area, and many more fisheries also operate there, including for squid, monkfish, summer flounder, herring, and quahog. 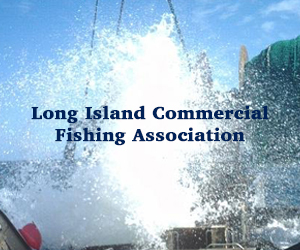 These fish are landed in Massachusetts, Rhode Island, Connecticut New York, New Jersey, and Virginia. It also hosts recreational angling, and contains designated Essential Fish Habitat for more than 35 federally-managed fish species including Atlantic cod, yellowtail flounder, bluefin tuna, and several skate and shark species. The Mudhole is sandwiched between the vessel traffic separation lanes for New York Harbor, which require substantial buffer zones for safety. The World Shipping Council and Port Authority of New York and New Jersey have already expressed concerns about the area’s proximity to sea lanes. A wind energy facility in this location would also interfere with the operation of eleven high frequency radars in NY, NJ, and RI, according to comments from the National Ocean Service and Rutgers University. The radar network provides information critical to search and rescue activities, oil spill response, and beach closures due to high bacterial levels. Finally, the Mudhole is teeming with wildlife. It is an important migratory area for numerous bird and bat species, and contains several federally-endangered species including North Atlantic right, humpback, and fin whales, Atlantic sturgeon, and several sea turtle species. A wind farm would impact all of these species. March 16, 2016 — DOVER, Del. (AP) – The National Marine Fisheries Service says it is withdrawing a federal moratorium on fishing for American eel in the state waters of Delaware. 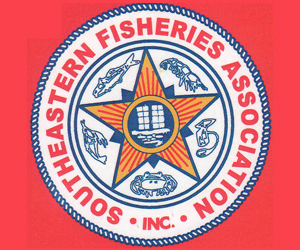 The agency withdrew the moratorium effective Tuesday after concluding that Delaware is in compliance with the Atlantic States Marine Fisheries Commission’s eel management plan. Regulators determined last year that Delaware was out of compliance because it had not implemented regulations to rebuild depleted eel stocks and to prevent over-harvest. March 16, 2016 — In a victory for coastal advocates, the Obama administration yesterday decided not to open up portions of the Atlantic seaboard to offshore oil and gas drilling. The announcement reverses a draft proposal to open up millions of acres in the mid-Atlantic and south Atlantic by auctioning off tracts for drilling, a plan environmentalists and state lawmakers here feared would threaten New Jersey’s billion dollar tourism economy. No drilling would have occurred off the Jersey coast or the outer continental shelf, but opponents worried that a spill off Virginia where leases were to be offered for sale could adversely effect New Jersey’s coastal environment and economy, already hard hit and not fully recovered from the devastation of Hurricane Sandy. In releasing a five-year program for oil and gas leasing offshore, Sally Jewell, secretary of the Department of the Interior, said the proposal allowing sales to occur in the Gulf of Mexico and off the coast of Alaska shelved a proposed sale in the mid-Atlantic and south Atlantic. As noted in a separate message yesterday, Capt. Kenny Lewis and his wife Lynda, lost their daughter, Kendalyn Rose, earlier this week. Words cannot begin to express our sadness and disbelief at the loss of a vibrant young lady who was known and loved by so many. Please keep the family in your thoughts and prayers. Visitation will be on Wednesday, March 16th, from 6:00 till 8:00pm at the Munden Funeral Home in Morehead City. The funeral service will be on Thursday, March 17th, at 2:00pm at the funeral home. May her soul and the souls of all of the faithful departed, rest in peace. Below is part of an article that is on the NC Coastal Federation website about commercial fishermen donating to a local food pantry. 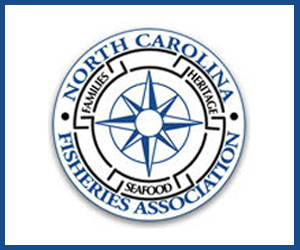 Dewey Hemilright, an NCFA Board member, is one of those fishermen. Blueline tilefish are commercially harvested off the N.C. coast, provide lean, white meat and delicately flavor. Several commercial fishermen from the Outer Banks have been paying it forward this winter with donations of fish to a local food pantry. 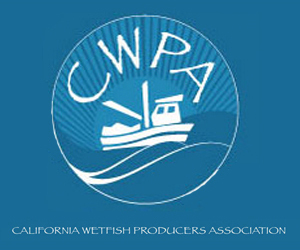 Buddy Coppersmith (F/V Emily Shay), Jimmy Taylor (F/V Windy Gale), and Dewey Hemilright (F/V Tar Baby), have been commercial fishermen for most of their lives. Recently, they’ve been working under a cooperative research grant collecting data that will improve future stock assessments for blueline tilefish. Hemilright, an avid community outreach volunteer with the Coastal Federation’s office in Manteo is well-known for leading education lessons for students and adults and was recognized for his outstanding contributions to the Coastal Federation’s northeast education program with a Pelican Award in 2015. While participating in the cooperative research project to gather fisheries- independent data on blueline tilefish and snowy grouper, the fishermen were sent out to fish and collect samples. Since the fishermen were receiving payment through the cooperative research grant, they could not sell their catch. Nor did they want to see it go to waste, and so sought out other options for it. Hearings for our area are listed below in the Calendar section. March 9, 2016 — DOVER — The American eel would seem one of the slipperiest species on which to get a population handle, but a new DNREC YouTube Channel video shows otherwise — with Division of Fish & Wildlife biologists conducting a survey of young “glass eels” tallied thousands at a time by “enumerating them volumetrically” with a device known as a splitter box. On a single splitter capture, as DNREC’s YouTube Channel documented the effort, more than 7,000 eels were counted — which fisheries biologist Jordan Zimmerman said indicated a good abundance of American eels in the Delaware Estuary (a survey day earlier this year turned up 65,000 glass eels, while another day’s count in a recent year reached almost 100,000). 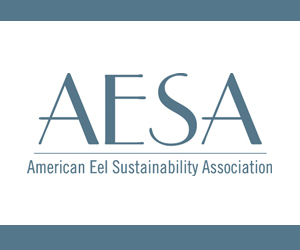 The glass eel count program was established as a fisheries management plan tool for monitoring reproduction in the American eel. “Glass eels” are another stage of the American eel’s life cycle, first stage being the egg, which hatches into larvae drifting on the Gulf Stream and eventually metamorphosing to the glass eel stage and swimming toward shore and the estuaries. Julie’s frustrations were shared by most during the panel discussion “Questioning our Changing Oceans,” a well-attended forum held during the annual Fishermen’s Forum at the Samoset in Rockport, March 3-5. Rising ocean temperatures, strengthening weather events courtesy of El Nino, and over-fishing continue to change the landscape of the world’s marine industries. Crab fishermen in the Bay Area of California struggle to pay rent after the once-abundant Dungeness crab shifted habitat north to Alaska. Gulf of Mexico wetlands are decreasing daily. Southern New England fishermen declare complete devastation in the lobster industry due to climate vulnerabilities, and Mainers are concerned. March 4, 2016 — Delaware Bay anglers will be able to fish for a 17-inch summer flounder this summer, according to a statement by the Jersey Coast Anglers Association. 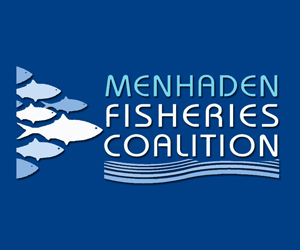 The New Jersey Marine Fisheries Council met yesterday in Galloway Township and approved the 2016 regulations for summer flounder and sea bass, two very popular fish to the recreational fishing industry. Summer flounder anglers will be allowed five fish at 18 inches with a season beginning on May 21 and ending on Sept. 25, except for Delaware Bay where there will be a four fish limit at 17 inches and at Island Beach State Park where there will be a two fish limit at 16 inches.